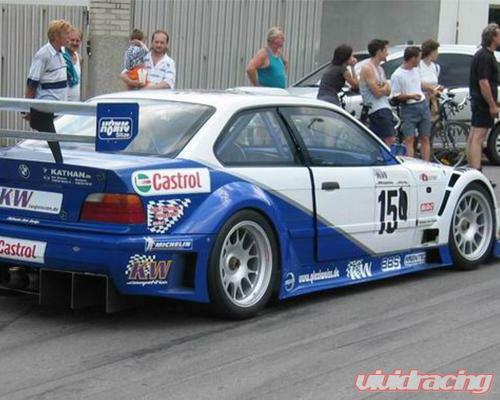 This body kit was originally co-developed with BMW motor sport division for race purposes. The kit is available in a sturdy ultra-light Carbon fiber or durable light Glass fiber version. 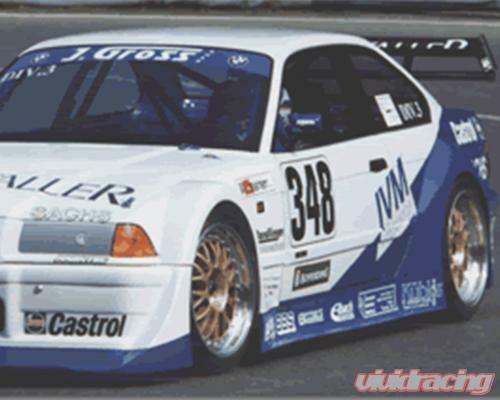 The kit is exclusively imported by GTHAUS for North American BMW racers and enthusiasts. The full body conversion kit consists of wide (front and rear) fenders, front and rear bumpers, and full-length side skirts with full aerodynamic effective ventilation. This does not include hoods and rear wing applications. Since it is a wide-body conversion, this kit needs to be ordered as a complete set with all the above mentioned components. 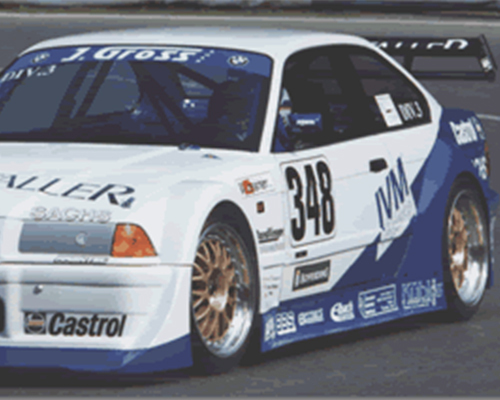 Single components will not be compatible with stock body panels. 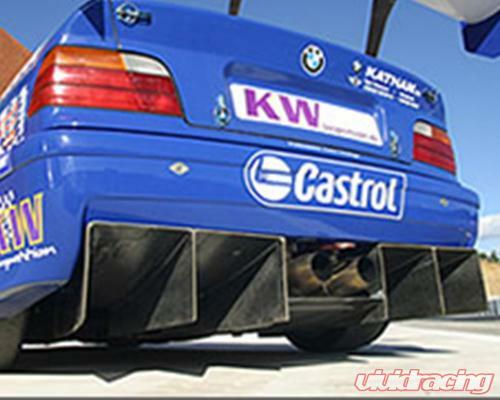 The kit has been tested and developed in the BMW wind tunnel facility for the best performance on the track. Some customers in Europe and the US have installed this kit on cars used primarily for street driving. For normal street applications, the Glass fiber version is recommended.